From the beginning, John Hein’s career has been rooted in sports and coordinating special events. John began his career as a special events and projects coordinator at the Babe Ruth Birthplace and Museum and worked his way up to the Director of Operations overseeing tours, event rentals, sales and marketing. Leaving there in 1998, John first joined Baltimore County Golf and grew the tournament and outings business, in both clients and billings, exponentially in less than 10 years. Even with that success, John was called back to the Babe Ruth birthplace where he spent another 10 years as the Director of Business Development. It's been quite a ride but John has chosen his favorite sport over baseball and is back in the game with Baltimore County Golf. 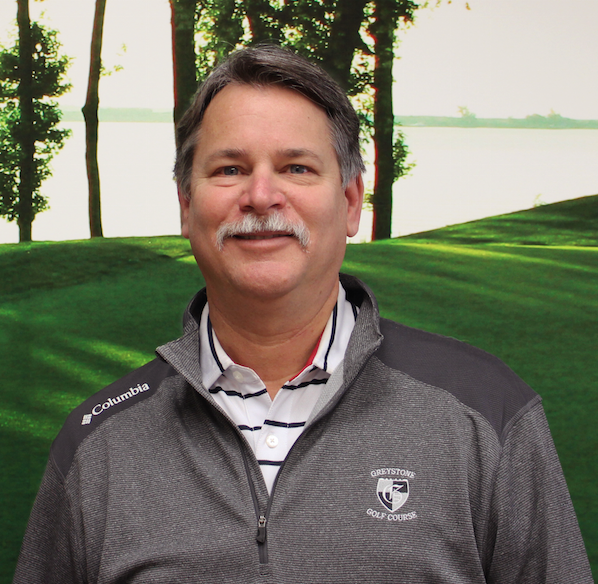 With more than three decades of helping corporations, charities, and the United States military plan and execute golf tournaments and other events, John is skilled at spreading the word about the enjoyment of golf. He uses his talents and experience to work with clients, helping them discover new and creative ways to raise money via golf outings and increase attendance. Outside of his work with BCG, John has served on many golf committees in the surrounding area to assist them in their fundraising efforts, and help spread his love of golf to new audiences. John is ready to work with your organization to utilize our amazing facilities and courses to make your next event one to remember. Customer service, forward-thinking planning and, of course, having fun are the cornerstones of a four-star event experience with Baltimore County Golf. Contact John about your event today.